The album format doesnt lend itself to four-on-the-floor electronic dance music. There's no recreation of the seamless, intoxicating thrill one finds in a night out dancing, and less savvy folk might find the idea of listening to an hours worth of repetitive, seven-minute-plus, machine music to be, frankly, boring. 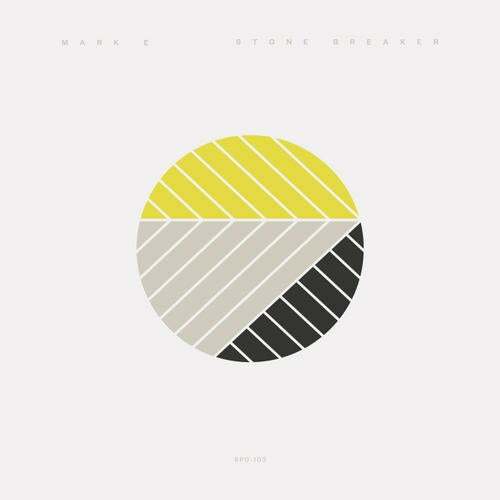 But they probably havent listened Mark E's Stone Breaker, which is riveting in its primal simplicity. From the opening, gut-punching kick drums of "Archway" through the ecstatic triplets of closer "The Day", Stone Breaker means business. It's a record of pace and determination, full of classic house touchstones and steady, almost militant tempos, a reminder that electronic dance music is supposed to be forceful, if not altogether mean. Not once does it break its step or err from its courseit - owns you, your body, and your mind from beginning to end. Of course, it wasnt supposed to be an album. When Wolverhampton-reared, Birmingham-based Mark found himself with some free time in mid-2010, he hit a stride in his productions, and an assortment of tracks that could have easily wound up on various 12-inches started to pile up. Almost by accident, Stone Breaker came into existence, full of confident, darkroom house that owes as much to Chicago as it does to the cosmos.